The Consumer Product Safety Commission (CPSC), Arçelik A.S. of Turkey and Beko US, of Bolingbrook, Ill., are recalling about 6,300 Blomberg and Summit brand freestanding electric ranges. The electric ranges can become energized because a screw was not installed to secure the grounding strap during manufacturing, posing electric shock and electrocution hazards. In August 2016, a 52-year-old professional plumber from Portsmouth, N.H., died from electrocution when he came in contact with an energized range and a grounded object. This recall involves Blomberg BERU 24200 SS, BERU 24100 SS and Summit CLRE24 24-inch wide freestanding glass top electric ranges. 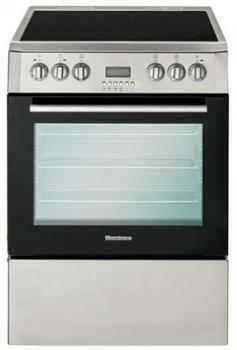 The ranges were sold in stainless steel and black. A label on the lower frame of the range inside the over door has the brand name “Blomberg” or “Summit,” the model name and number BERU 24200 SS, BERU 24100 SS or CLRE24 and a 10-digit serial number. The ranges, manufactured in Turkey, were sold by AJ Madison, State Street Discount and other stores nationwide and online at Amazon.com from October 2012, through March 2017, for between $1,000 and $1,500. Consumers should immediately stop using the recalled ranges, and avoid all direct contact with the product until the electricity supply is shut off, and contact Arçelik to schedule a free on-site inspection and repair. Consumers may contact Arçelik toll-free at 877-271-1489 from 8 a.m. to 5 p.m. (ET) Monday through Friday, or online at www.blombergappliances.us and click on “Electric Range Recall” at the top of the page.